Thanks to mdbrim who updated libmii and also provided a semi-library for displaying miis I was able to add the feature to Crazy Intro. If you haven’t used already, Crazy Intro have a feature where you can show a custom greeting (a custom picture & music) if one of your miis have birthday. 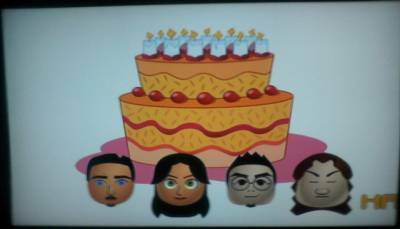 Now it displays the miis who have their birthday.